A Massachusetts slots casino records six percent rise in 2017. The Plainridge Park casino in MA is getting big and better. The facility has among the things in the gaming floor, slot machines. There are also electronic tables that give players an option. 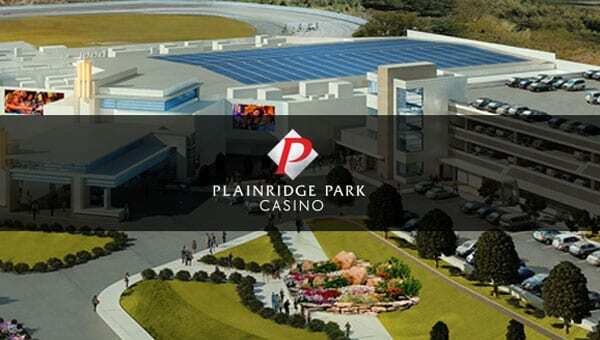 How Did Plainridge Park Casino Increase Their Revenue? This facility is recording a 6.3 percent revenue rise in 2017. Above all, this is a report by the Massachusetts Gaming Commission (MGC). According to the report by the commission, this facility is doing better. The casino, with 1, 250 slot machines generates a whopping $164.8 million. The commission says that there is a difference of over $9.8 million from the previous year. Check Out The video review. In December, the facility collects some $12.7 million. The report indicates that this figure is slightly bigger than 2016’s. In fact, the increment for December alone is 0.7 percent. The casino opened its doors in 2015. Since then, the operator says colder months are tricky. Clients do not visit the facility as much as they do during hotter months. Nonetheless, the casino is picking up well, nearly three years since it opens. Although December 2017 records low, it is the highest among the cold months. The other cold months of January and February record lower. January’s collection is $12.2 million and $12 million for February. Tax on the casino is at 49 percent. A more significant percentage of the money from the 49 percent goes to the government. On its part, the government uses the money for local aid. There is, however, 18 percent of the original stake. Also, this goes to the state’s Horse Race Development fund. For now, Plainridge Park is the only remaining horse track in Massachusetts. There’s another racetrack, which hosts notable horse races, but it’s no more. Suffolk Downs hosts several high-end races in the state. Some of the high-profile horse races taking place here are Funny Cide and Seabiscuit. But this racetrack gets a buy in May. This leaves Plainridge Park to be the only racetrack in the whole state. $36.7 Million Goes To The State? Hitherto, Massachusetts race horse kitty is receiving $36.7 million. This money comes from casinos. Part of this money goes to the racetrack. According to the commission in charge of the racetrack, it is 16 percent of the money. This means the track uses $5.9 million. There is another meager percentage that goes to health and pension for those taking part. Horsemen receive $1.5 million for their health and retirement. A more significant part of the money is in a safe place. In fact, the commission in charge of the racetrack says it is somewhere safe. The money is an account that bears interest. There are chances that Plainridge park will not be the only one around. If MGM’s Springfield stays on course, as per the plan, it will open soon. The facility is likely to begin in 2019. Upon opening of MGM Springfield, the casino will give 25 percent of its collections to the kitty. Also, this means the racetrack kitty will continue to grow. For now, Plainridge Park is the only Massachusetts slots casino offering horse races.